Q: I’m a US citizen who is engaged to be married to a man from Ireland. He is there now and we want to live in the US after we’re married. Can he just come here as a visitor on the 90-day visa waiver, get married, and apply for a green card? Or can we get married in Ireland, after which he comes to the US on the visa waiver and he then files his application? A: Emphatically no in both cases. This is a fundamental mistake that is not at all obvious to people who don’t know the ins and outs of the relevant immigration law, and it happens quite frequently. The problem is that the visa waiver (as well as travel on most temporary visas) is granted on the basis of what the law calls “non-immigrant intent,” that is, the person traveling honestly intends to stay in the US for no longer than the period allowed by US Customs and Border Protection at the port of entry. On the other hand, someone entering with temporary permission but who actually intends to stay in the US – to apply for a green card or for some other reason – has “immigrant intent.” So the immigration authorities would conclude that the person had committed “visa fraud,” which generally speaking renders him ineligible for benefits such as permanent residence and indeed subjects him to removal from the US and a bar to entering this country from abroad in the future. (1) The fiancé visa. You, the US citizen, file a petition with US Citizenship and Immigration Services (USCIS) for your future husband. This process includes providing proof that the two of you have met personally and intend to marry in the US. Once USCIS grants the petition, the US State Department takes over the case. Ultimately your fiancé has an interview at the US Consulate in Dublin. He receives the visa and travels to the US, after which he has 90 days to marry you. As soon as the marriage has taken place, he can immediately file for permanent residence with USCIS and remain here while the application is being processed. (2) Consular processing for an immigrant (permanent resident) visa. With this option, you get married abroad. Then you file a petition with USCIS and, again, once it is granted the case is transferred to the US State Department. Your future husband then files an application for an immigrant visa, has an interview at the US Consulate, receives the visa, and travels to the US – only this time he enters with permanent residence already granted and no further applications need to be filed in the US. Which option is preferable for a particular couple depends on the details of individual cases. You can visit one of our weekly legal clinics for a free, confidential discussion of the options. Disclaimer: These articles are published to inform generally, not to advise in individual cases. Immigration law is always subject to change. US Citizenship and Immigration Services and the US Department of State regularly amend regulations and alter processing and filing procedures. 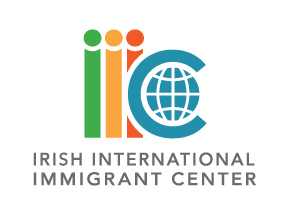 For legal advice seek the assistance of an IIIC immigration specialist or an immigration lawyer.